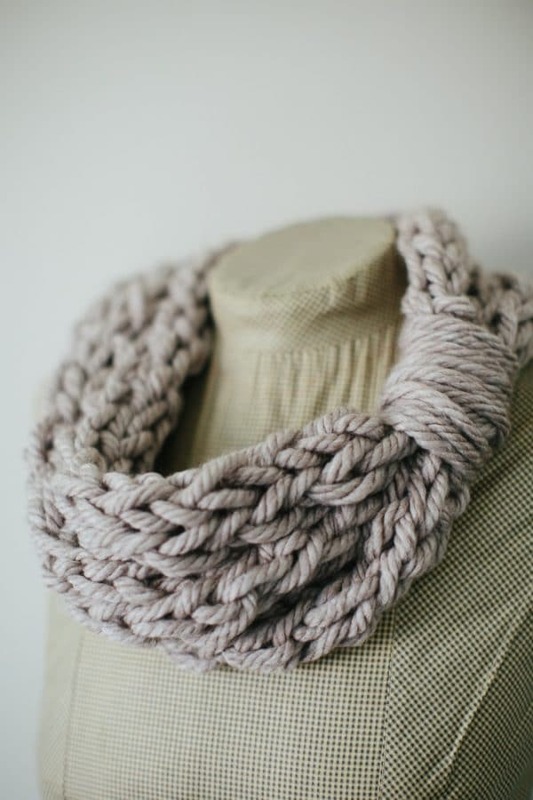 The Finger Knit Cowl is a guest post written by Abbey from The Firefly Hook. You can find her on Facebook, Instagram and Pinterest. I teach crochet classes, and I love thinking of projects that younger children can make all by themselves. I am especially on the hunt for those projects that look amazing and not at all “kiddish” or only cute because your kid make it for you. You know what I’m talking about, right? 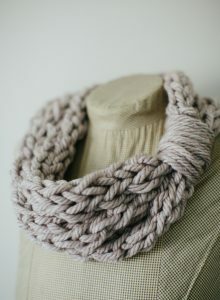 Enter the finger knit cowl. I came up with the idea when my oldest went to Kindergarten and he REALLY wanted to crochet a scarf for his teacher. Since I already taught him to finger knit (and he was a little too young to pick up crochet skills to make a scarf before Christmas) I put his forever-long finger-knit strands to good use. 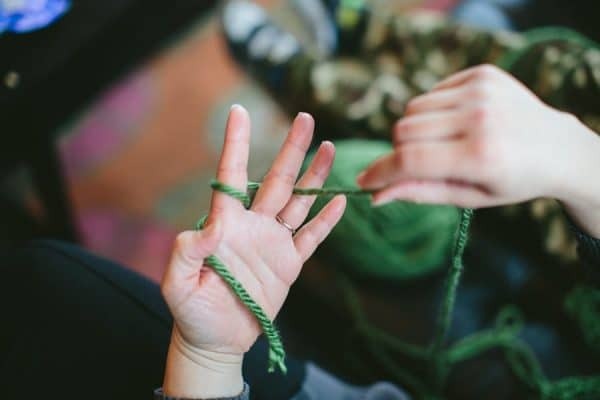 I also like teaching kids to finger-knit because it’s a great way to get kids excited about yarn and interacting with it in a positive way. There’s no better feeling than making something with your hands! 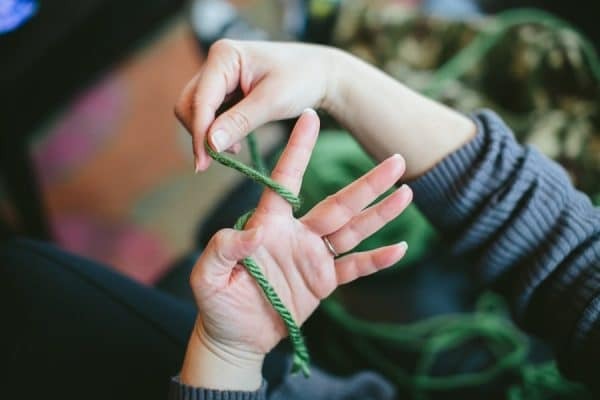 And finger knitting perfectly demonstrates the fundamental skill in knit AND crochet: wrapping yarn over an instrument (needle, hook, and in this case – finger) and pulled through a loop. 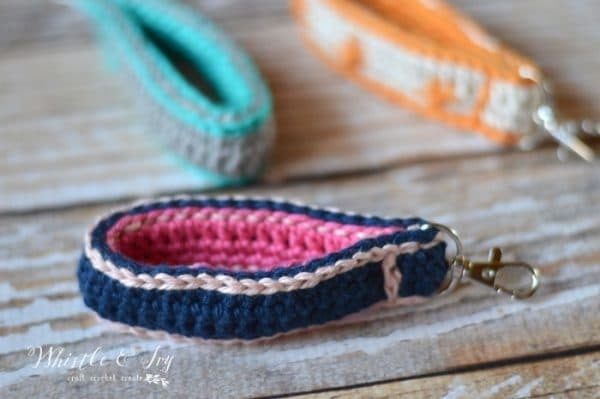 I’ve found that kids who learn to finger knit are ready to crochet or knit with hook or needle, respectively. 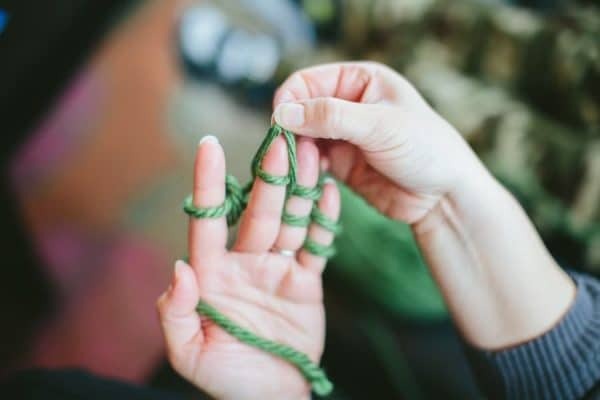 There are a couple of ways to accomplish getting the yarn around each finger- wrapping or weaving. 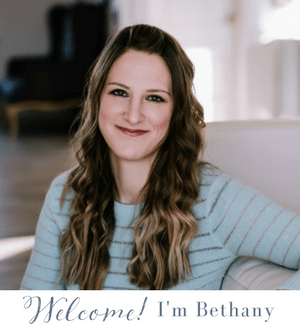 I am going to share my preferred method – wrapping. 1. 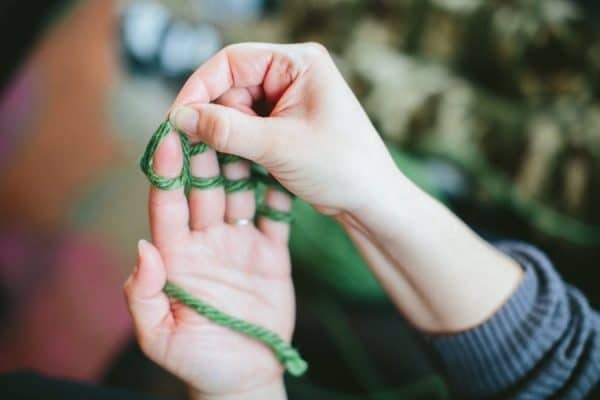 Begin with the tail of your yarn between your thumb and first finger. 2. 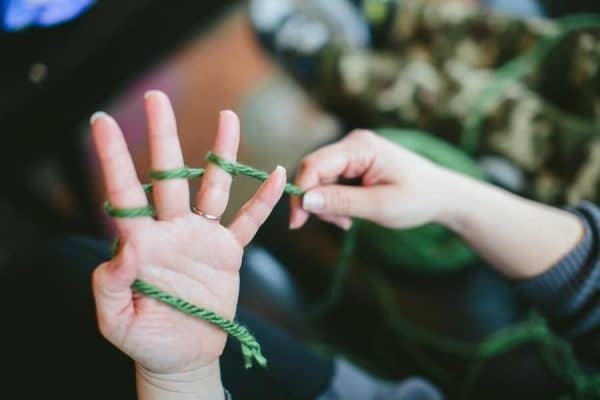 Wrap yarn clockwise around your first finger. 3. 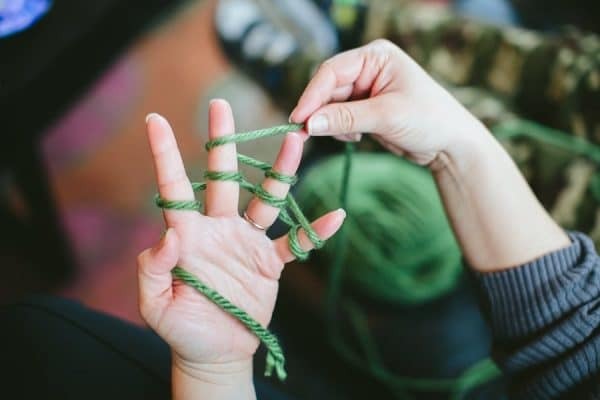 Wrap yarn clockwise around your second finger. 4. 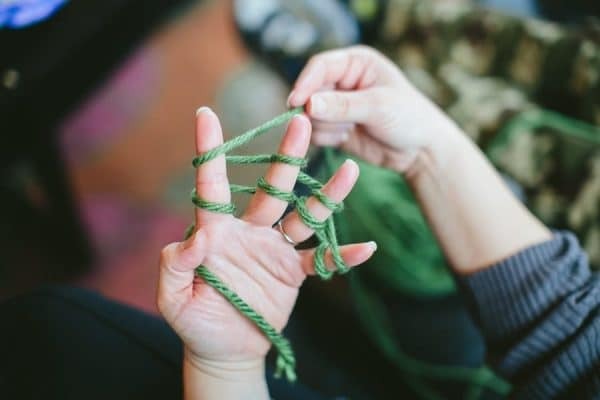 Wrap yarn clockwise around your third finger. 5. 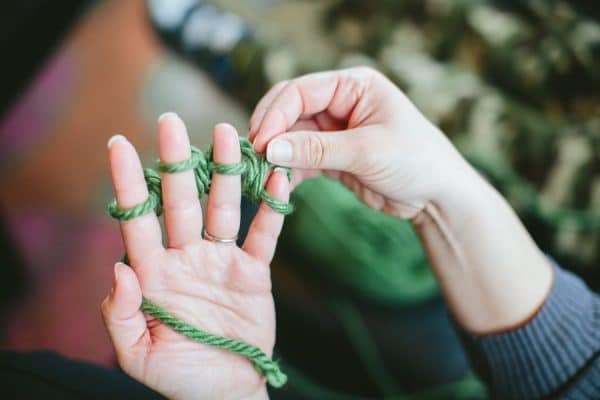 Wrap yarn clockwise around your fourth finger. 6. 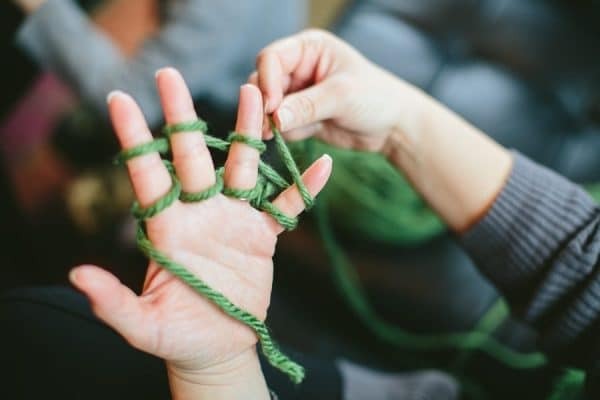 Wrap yarn clockwise around your fourth finger once more. 7. 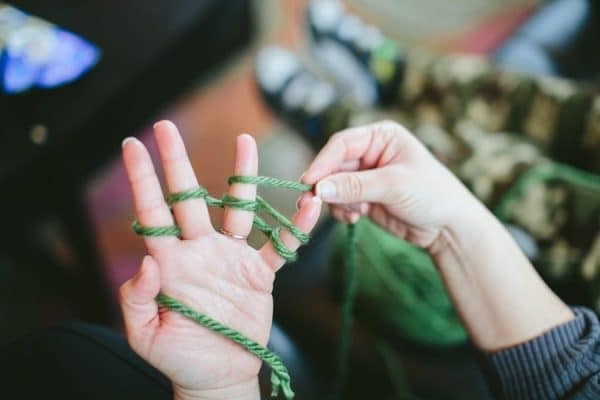 Wrap yarn counter-clockwise around your third finger. 8. Wrap yarn counter-clockwise around your second finger. 9. 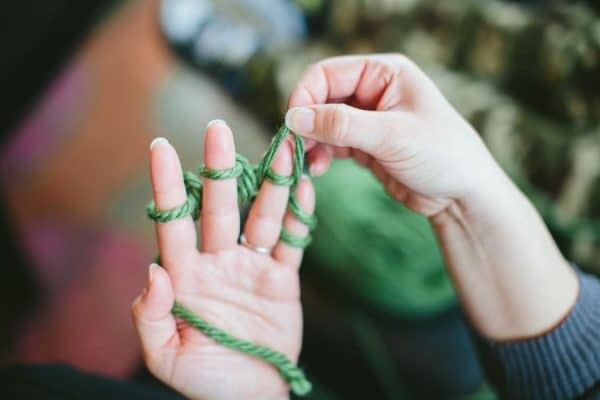 Wrap yarn counter-clockwise around your first finger and leave yarn dangling behind your hand between your first and second finger. 11. Pull loop off first finger. 12. Pull loop off second finger. 13. Pull loop off third finger. 14. Pull loop off fourth finger. 15. Push loops down on your fingers. 16. 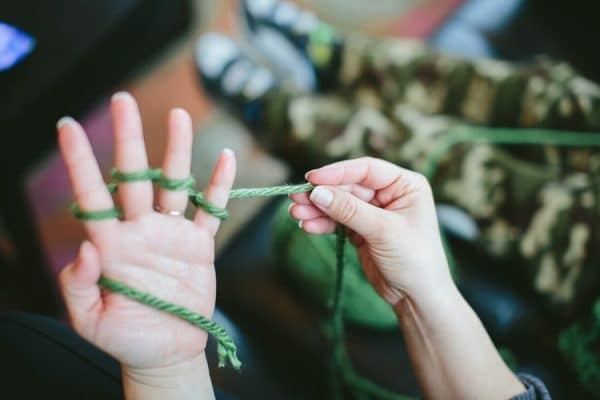 Wrap yarn counter-clockwise around your first finger. 17. Then counter-clockwise around second, third and fourth fingers. Note that the yarn ended between the first and second fingers the first time we pulled the bottom loops off our fingers, and this time the yarn ended between the third and fourth fingers. 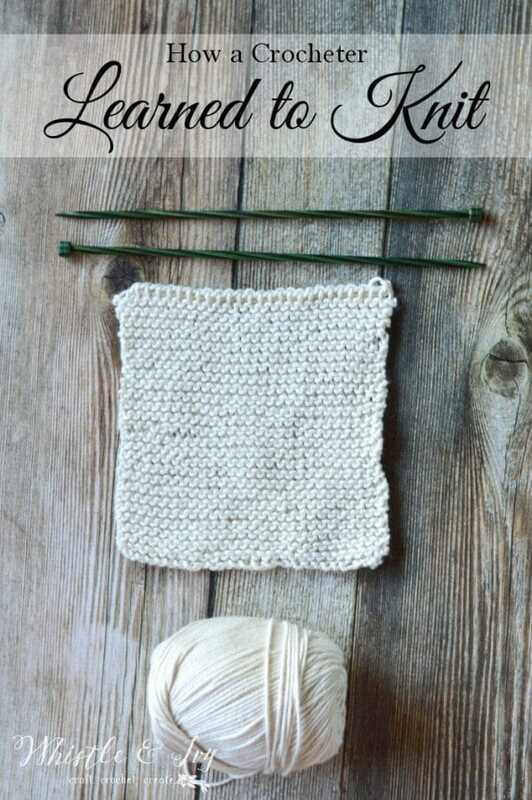 The yarn will alternate between these two ending spots at each pass. 18. 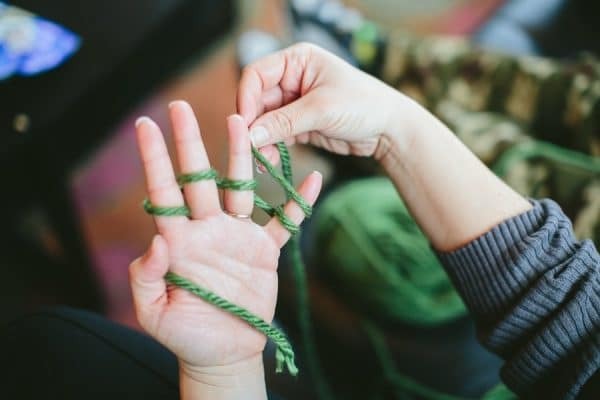 Pull the bottom loops off each finger. Repeat wrapping fingers and pulling loops off until finger knit section is to desired length. The finished cowl pictured used one skein of jumbo #7 yarn and measured approximately 6 feet. Thinner yarn will need more length to properly fill out the cowl. Don’t forget to leave about five feet of yarn to wrap around the cowl. I coiled up his strand so they were all even and tied the two ends together. Make sure to leave yourself a long (like five feet) tail when you cut the yarn. Then take your loooooong tail and wrap it around your coil to keep it in place. You could also tie the loose tails tight around your coil and sew on a button or flower. The wrapped yarn covers up the seam from the ends being tied together and keeps the coiled sections in place. I used super-super bulky yarn (Jumbo or #7) because it filled in really nicely. Super bulky yarn will work well, too. 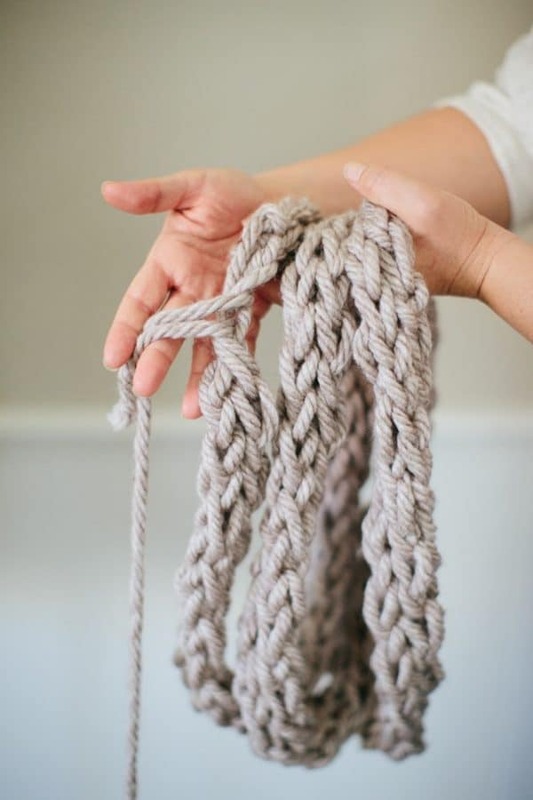 And using high quality yarn will make your kiddos project shine without much effort. Tip: If your kid (or you!) would like to take a break, carefully pull each loop off and slip them onto a pencil or clip together with a clothes pin. 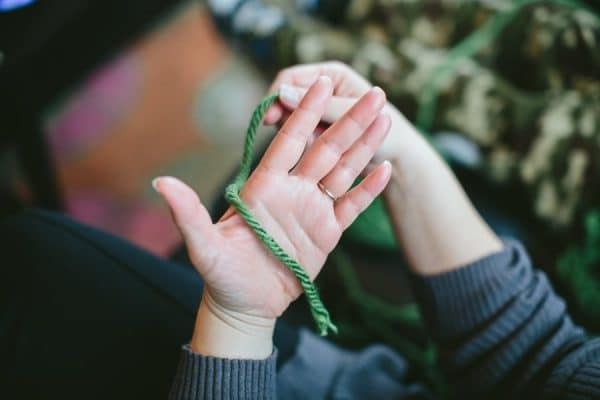 When you are ready to pick it up again, carefully slip the loops of and place each one on a finger. 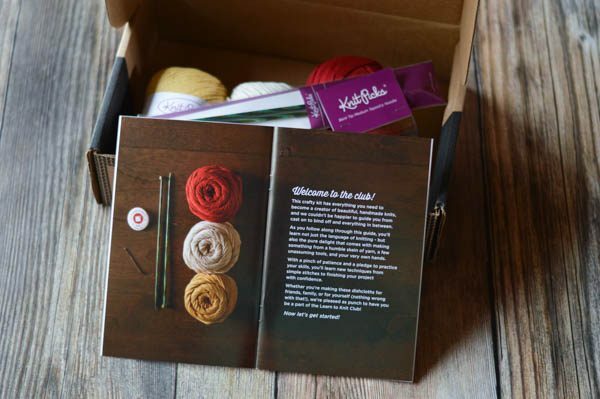 Thank you to Knitpicks for supporting my knitting endeavor and sending me this knitting kit. This post also includes affiliate links. Click here for more info. Thanks for supporting Whistle and Ivy! Did anyone decide to learn to knit with me? I admit, I browsed Joann walking down the knitting aisle and staring for way too long at all the needles (some connected by plastic cords?!) not sure which would be best to buy. It was weirdly a hard decision. 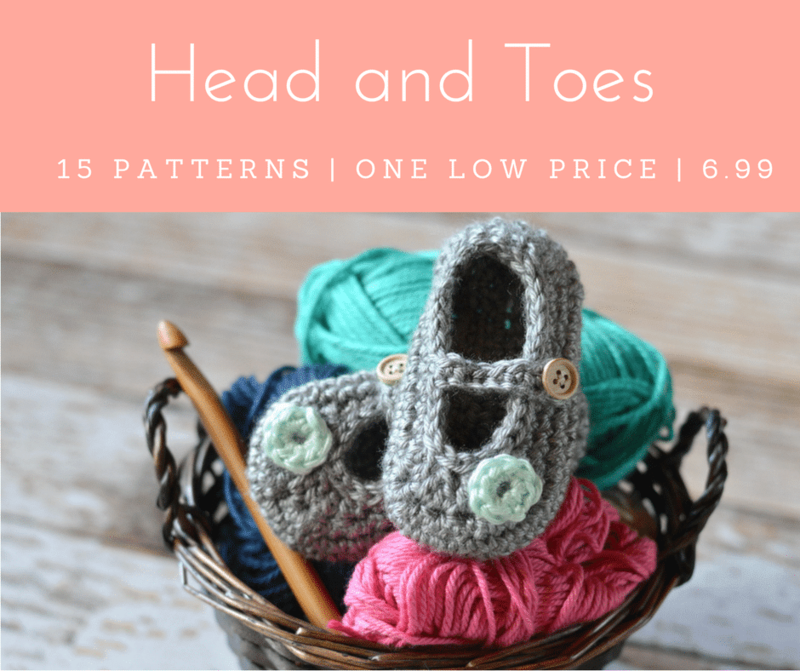 I didn’t have an easy pattern, because I can’t read a pattern, so I wasn’t sure which materials I needed that would corresponded with an easy pattern. It was a strange, seemingly super important catch-22 of a decision. I decided a kit would be a lot easier, and a bit less overwhelming, since a kit would include everything I would need to make a specific item. The Learn to Knit Kit at Knitpicks is absolutely perfect for what I wanted. This crocheter learned to knit! It turned out to be a positive experience. 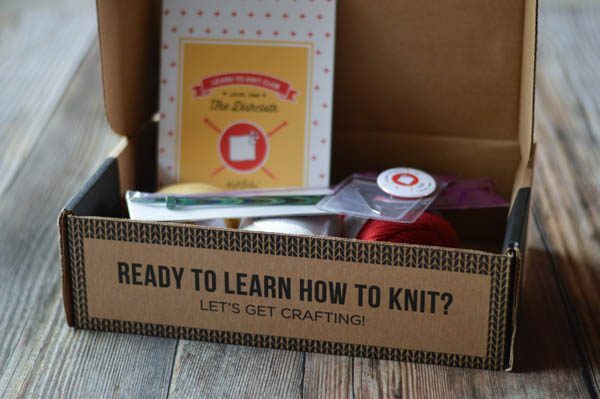 The kit is wonderful and is an easy way to learn to knit without investing in lots of materials. I worked slowly, trying to remember as I went. I actually find it even more cathartic than crochet, but maybe that’s because this washcloth is repetitive and there is no need to count stitches. I struggle learning things through photos. Thankfully, the kit providing me with everything I needed including URLs for videos for each step. I took everyone’s advice and learned Continental Style. 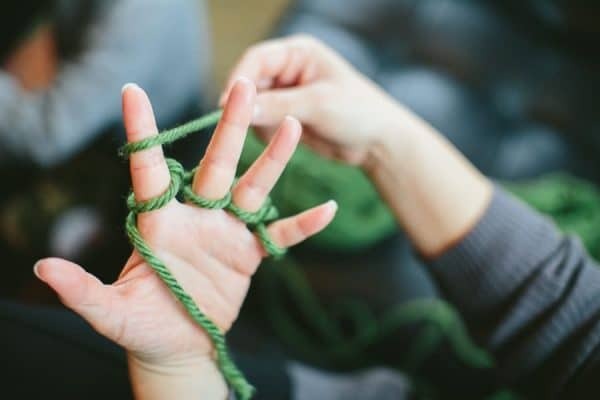 Basically, I hold my yarn almost exactly as I hold it for crochet, and hold the non-working needle the same way I would hold my crochet project if I were crocheting. It’s super weird. I am not sure if I want to show you, because I am sure it’s a really terrible way to knit, and really bad form. But it works for me, and I am already getting faster. 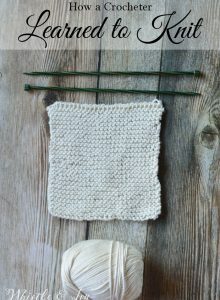 Also, for fun I decided to bind off my knit washcloth with a tunisian crochet hook! 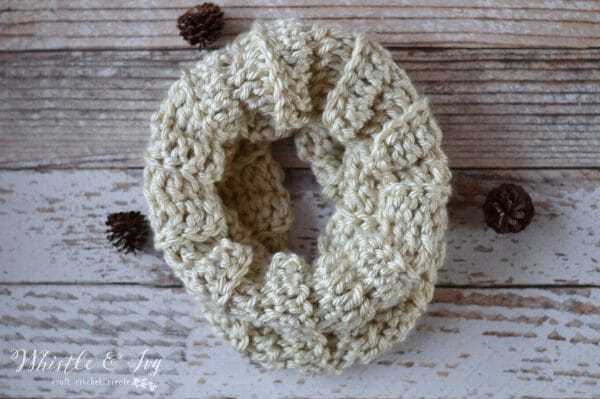 It’s a quick and easy way to finish up that last row, and I might use it again in the future once I have mastered the “real” way to bind off. I definitely need more practice (as you can see! ), but I am enjoying the learning process, so I am okay with more practice. It is much slower going than crochet, I think I will probably prefer working with larger needles and chunky yarn. 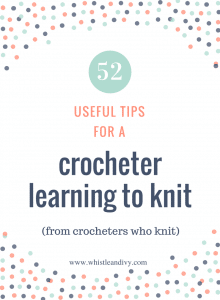 If you are ready to get started and learn to knit, check out this Level 1 Learn to Knit Kit, and be sure to read these 52 Tips for a Crocheter Learning to Knit. It’s happening. I am finally taking the leap. I am going to learn how to knit. I put it out there on social media a couple weeks ago, which is helpful when setting goals. But I really wanted to be as ready as possible. 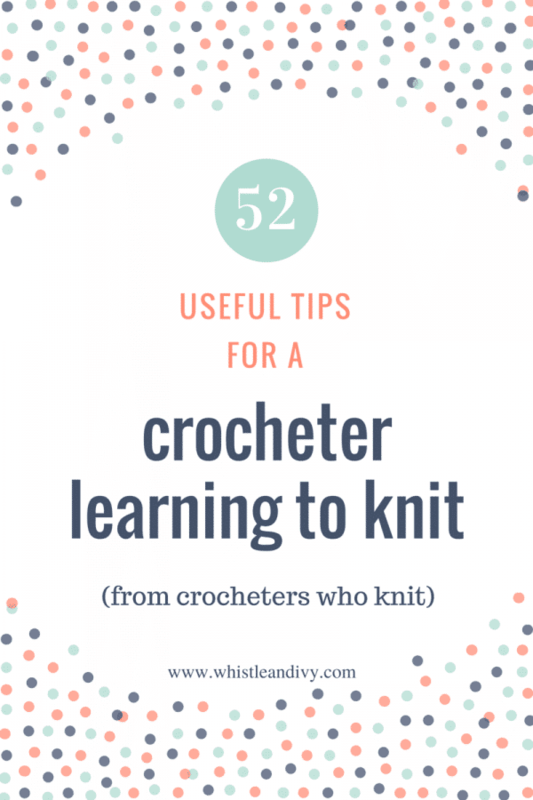 I asked those of you who knit if you had any advice for a crocheter learning to knit. I am SO GLAD I asked. So much gold in your responses. Thank you! So for anyone else who may be motivated to learn as well, I hope you join along with me! 27. 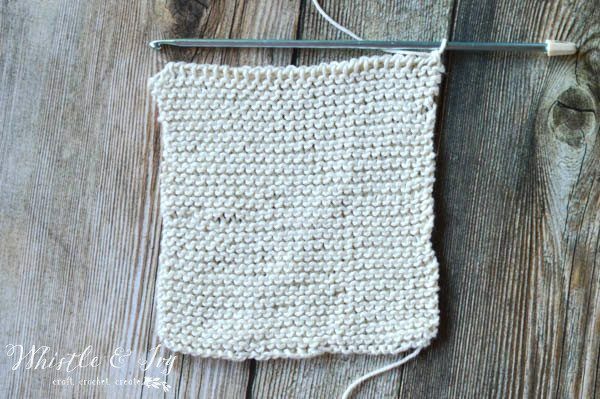 Start with something simple with plain yarn and at least 8.5 needle; so that you can see your stitches easily. Don’t try to start with fancy yarns or small needles. Scarves are a good starting project. Also, start with simple stitches until you get the knack of working with two needles instead of one hook. Good luck. 52. 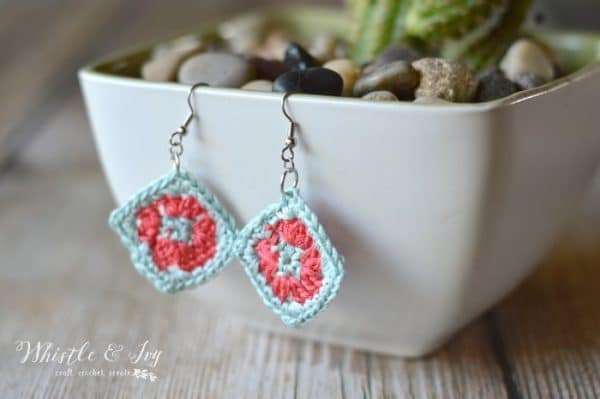 “I learned to crochet first, at age 9. Knitting came along much easier because I was already aware of tension, knew how to hold the yarn, etc. . That said, I wish I had known: how to “tink,” (knit backwards), use a “lifeline” when having to “frog” (rip-it out), been more realistic about a 1st project (I made a fair isle sweater), known to use a well “twisted,” smooth yarn as a new knitter, known to cast on and bind off loosely. Be intrepid! It’s only sticks and string! All new skills improve with practice!” – C. A.